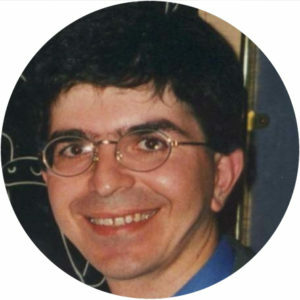 Angelo Cangelosi is Professor of Machine Learning and Robotics at the University of Manchester (UK). He also is Turing Fellow at the Alan Turing Institute. Previously Angelo was Professor of Artificial Intelligence and Cognition, and founding director role, at the Centre for Robotics and Neural Systems at Plymouth University (UK). Cangelosi studied psychology and cognitive science at the Universities of Rome La Sapienza and at the University of Genoa, and was visiting scholar at the University of California San Diego and the University of Southampton. Cangelosi’s main research expertise is on language grounding and embodiment in humanoid robots, developmental robotics, human-robot interaction, and on the application of neuromorphic systems for robot learning. He currently is the coordinator of the EU H2020 Marie Skłodowska-Curie European Industrial Doctorate “APRIL: Applications of Personal Robotics through Interaction and Learning” (2016-2019). He also is Principal investigator for the ongoing projects “THRIVE++” (US Air Force Office of Science and Research, 2014-1023), the H2020 project MoveCare, and the Marie Curie projects SECURE, DCOMM and STRoNA. He has been coordinator of the FP7 projects ITALK and RobotDoc ITN, as well as UK projects BABEL and VALUE. Overall, he has secured over £30m of research grants as coordinator/PI. Cangelosi has produced more than 250 scientific publications, and has been general/bridging chair of numerous workshops and conferences including the IEEE ICDL-EpiRob Conferences (Frankfurt 2011, Osaka 2013, Lisbon 2017, Tokyo 2018). In 2012-13 he was Chair of the IEEE Technical Committee on Autonomous Mental Development. He has been Visiting Professor at Waseda University (Japan) and at Sassari and Messina Universities (Italy). Cangelosi is Editor (with K. Dautenhahn) of the journal Interaction Studies, and in 2015 was Editor-in-Chief of IEEE Transactions on Autonomous Development. His latest book “Developmental Robotics: From Babies to Robots” (MIT Press; co-authored with Matt Schlesinger) was published in January 2015, and recently translated in Chinese and Japanese.